Hello everyone! You’re in luck because we’re here to let you in on a little secret. Well maybe not a secret, but it hasn’t been widely publicized. Applebee’s Grill & Bar restaurants in Texas will be giving visitors a chance to make use of all those expired coupons and gift cards they’ve been holding on to. 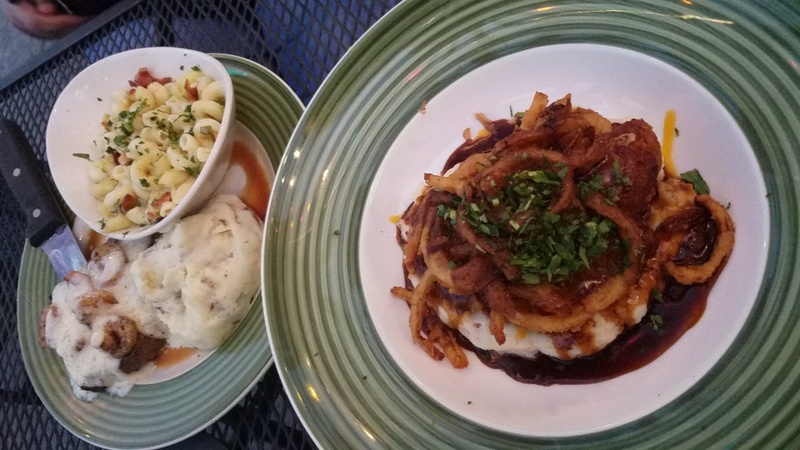 Through a promotion Applebee’s is dubbing “March Madness,” 67 participating Applebee’s locations are accepting any and all gift cards, gift certificates, coupons, etc. (even expired ones) from all businesses and brands during the month of March. 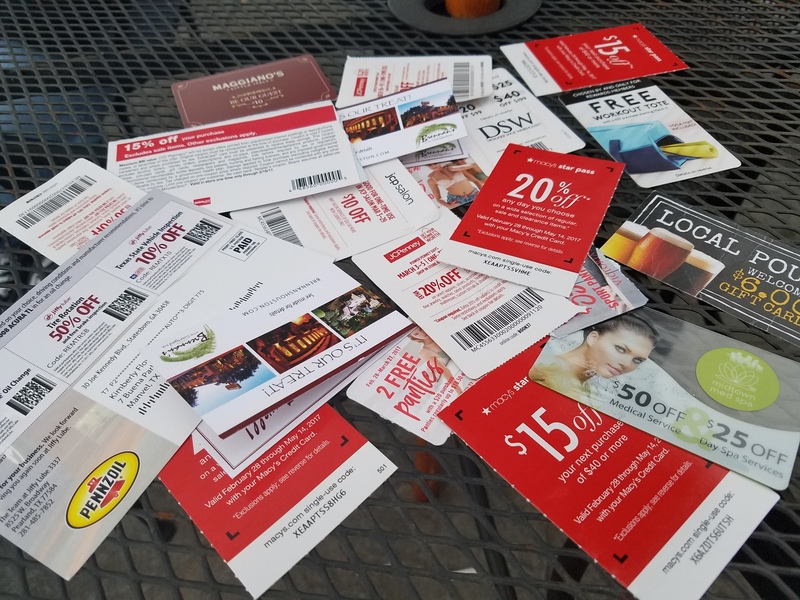 A press release stated the idea for the promotion was created from the fact that many people have expired gift cards and coupons to places they won’t visit, so Applebee’s decided they would accept them. The only two caveats? The promotional offer is only good for up to 50% off any food purchase and alcohol is not included in the promotion. Sound too good to be true? Don’t worry. 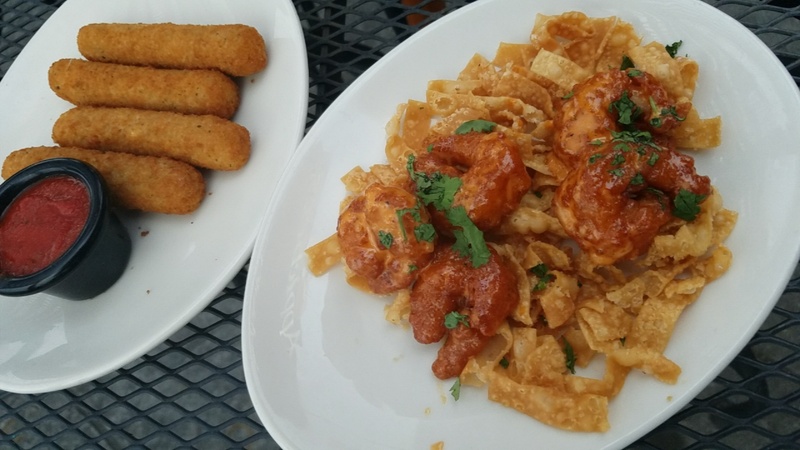 2 Girls Who Travel tried it out at the Applebee’s location in Stafford, Texas and we can say without hesitation – it’s absolutely true! *Note: Be sure to check with your local Applebee’s to make sure they’re one of the participating locations. 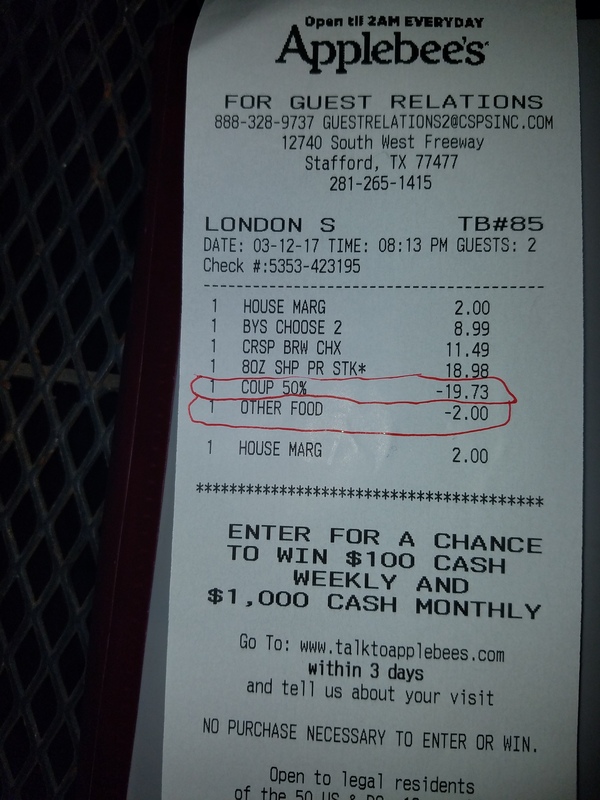 Our total bill after the promo deal came out to $23.50. Not bad! !